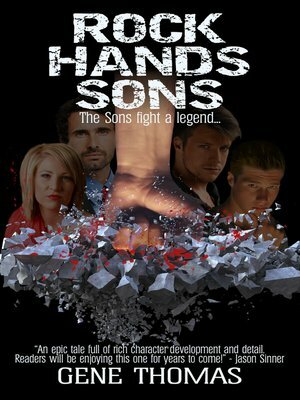 It's been three and a half years since Gerald Williams fought and defeated Curl Burleson in a memorable fight that people still talked about in the small community of Helton where the fight was held.It didn't matter that the man known as 'Rock Hands' hadn't fought since the fabled 'fight of the Century'. He was constantly getting inquiries from seedy fight promoters and young, up and coming street fighters looking to make a name for themselves.While he knew he would fight again, Gerald had long ago decided to take his time getting back. He and Amanda were enjoying married life especially with newborn twins. But his step son Ethan was itching to take up Gerald's mantle, and he wasn't the only one. Others in Helton fancied themselves as Gerald's equal. One of them in particular would prove to be a major threat to Gerald's family, a family Gerald would soon find out had grown quite a bit since his personal odyssey began.